We have special offers available on tickets for Thriller Live. 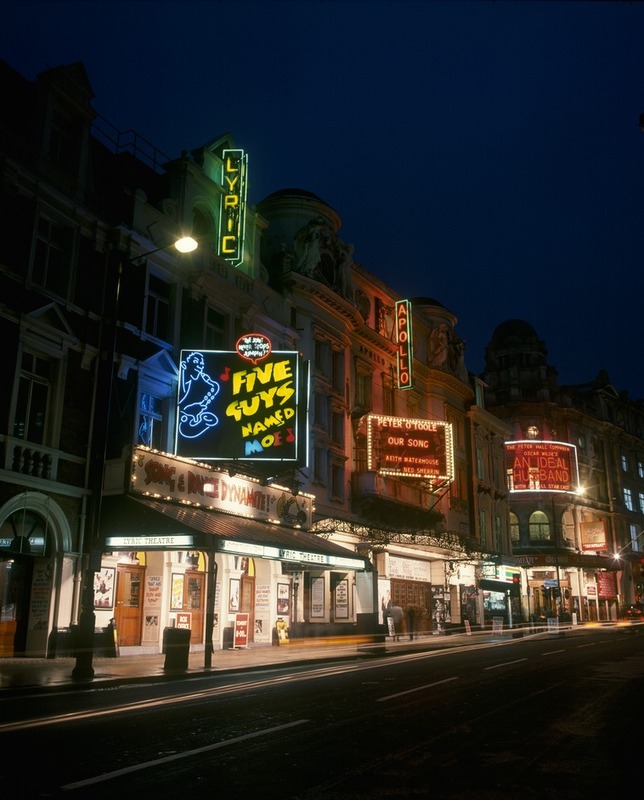 The Lyric, Shaftesbury Avenue's oldest theatre was opened in 1888, just two years after the street itself was completed. An indistinct red brick building, it lacks the grandeur of the neighbouring Gielgud and Apollo, but has a charm and unassuming beauty that are all its own. The auditorium is also unconventional, with u-shaped balconies offering fine unrestricted views and bringing the audience closer to the action than in many large theatres. Though designed as a home for comic opera, the Lyric's major successes have been with serious drama. The Kenneth Branagh/Emma Thompson partnership had one of its first major successes in 1989 with Osborne's Look Back in Anger. Alan Bennett's Habeas Corpus premiered here, starring Alec Guinness and with Bennett in drag as Mrs Swabb, the cleaning lady. Other successes include the premier of Alan Ayckbourn's How the Other Half Loves (1973) and high-energy musical Five Guys Named Moe. Award-winning actor Dean Elliott writes and directs a 50th anniversary celebration of the musical duo featuring original photos and film footage, as well as all the hits. Not suitable for under 8s. Spontaneous musical comedy based on suggestions from members of the audience, with a live on-stage band of six musicians, who set the tempo of the improvised mayhem. Not suitable for under 14s. Fisher Stevens portrays the American singer-songwriter with the extensive and successful career. What are the best dining options near Lyric Shaftesbury Avenue London? Lyric Shaftesbury Avenue gyms, sporting activities, health & beauty and fitness. The best pubs near London Lyric Shaftesbury Avenue. Lyric Shaftesbury Avenue clubs, bars, cabaret nights, casinos and interesting nightlife. Where to have your meeting, conference, exhibition, private dining or training course near Lyric Shaftesbury Avenue. From cheap budget accommodation to luxury 5 star suites see our discounts for Lyric Shaftesbury Avenue hotels, including Le Meridien Piccadilly from 75% off.